For the last few months, I have wanted to write this post, but have been avoiding it for some reason. As you may have gathered, we are pregnant with our second child. A baby girl to be exact. Oh, how excited (and very nervous) we are! This was an unplanned pregnancy. Miss Type A did not have to chart a single temperature, pee on one ovulation predictor test, or take any medicine to help with ovulation. Not only was I exclusively breastfeeding Silas, but I only had one period since his birth. It came right around his first birthday. A few days after my period, I saw my OBGYN for my annual checkup. She asked if we were planning to have a second child. Of course we wanted another kid, but we weren’t really quite ready yet. I told her about my sister’s upcoming wedding in Mexico in February, and she informed me how serious the Zika virus still was and that I needed to be very careful. If we weren’t getting pregnant before the wedding, we would have to wait until six months after to start trying, since the virus stays in male sperm for up to six months. Towards the end of the appointment, she warned me that I might be surprised how easy it is this time around to get pregnant. “Your body knows how to get pregnant now.” It was kind of a sweet warning, but I brushed it off because of our history. Over the next few weeks, Seth and I had a few conversations on when we wanted to try for Baby #2. 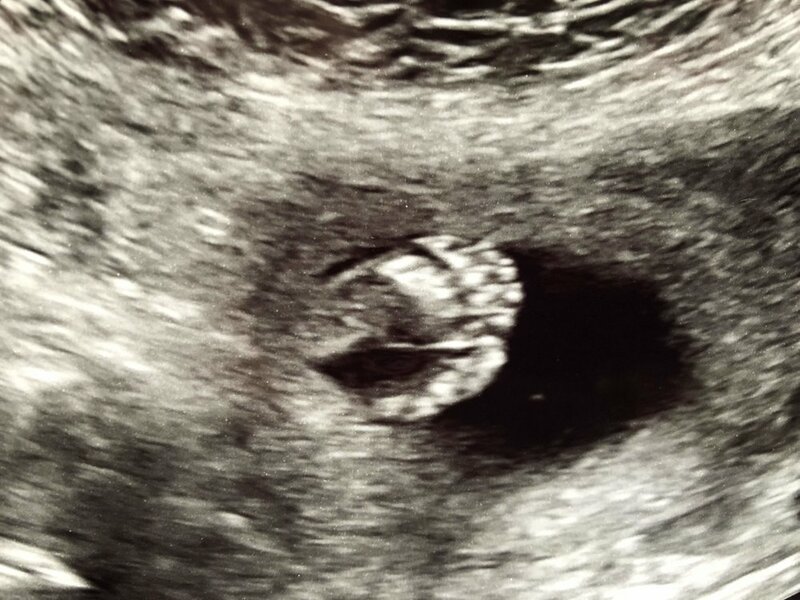 We went back and forth and struggled with the fact that if we postponed until after my sister’s wedding, we would have to wait until August 2019, and who knows how long it would take the second time around. What if it took another two to three years? How far apart would our kids be? Would there be a huge gap in age? On the other hand, I absolutely did not want to miss my only sister’s wedding. I prayed about it and asked God for some clarity, because I did not know what we were going to do. Should we start to try, knowing our history and that it might take a while anyways or should we wait until later next year? Then, one Sunday morning, Seth and I woke up, and went for a run with Silas and the dogs. On the run, we started to talk about plans for Baby #2 again. By the end of the run, I came to the conclusion that we needed to wait until after the wedding to start trying. I had to get ready for a friend’s bridal shower, so Seth took Silas across the street to talk to our neighbor, and I ran the bath water. I knew I was due for my period any day and I kind of have a habit of taking cheap pregnancy tests, so I decided to pee on a stick just for no reason. I had no idea what I was about to find out. I put the test on the edge of the bathtub and got in. I glanced at the stick and thought I was seeing two lines. I closed my eyes and looked again. One dark pink line and a second faint pink line. I asked God for some clarity, and clarity He gave! I couldn’t even believe it. I started to shake and quickly bathed and got ready. Seth brought Silas inside to me so I could change him. I whispered in Silas’ ear that he was going to be a big brother. It was almost like he knew and a big smile came on his face. I was running late for the shower and decided to go without telling Seth what I just discovered. This would give me time to process my thoughts. I am a very open person, so it was strange being at the shower and not saying anything to my friends. I kept quiet and tried to focus on the activities, but couldn’t stop thinking about what I had just found out. How in the world did it happen so easy this time? When would I be due? Would I be able to go to my sister’s wedding? These questions were racing through my head and I couldn’t wait to get home and talk to Seth. When I came home, I shared the news with Seth. He was equally surprised and couldn’t believe it. Within a few weeks, we found out we would be due at the beginning of March. After talking with my doctor, we came to the realization that we would not be able to go to my sister’s wedding in Mexico. The risk for Zika was too high and I would be about 36 weeks pregnant, which is too late to travel internationally while pregnant. I was devastated. During the first few weeks after finding out, I had a hard time feeling excited. I was so sad that I couldn’t make it to my sister’s wedding and I felt sick about telling her the news. It was so different than our first pregnancy, because we were wanting it so badly. This time around, it came as a total surprise and altered some big plans. When I told my sister the news, we both cried a lot. I am still heartbroken I cannot be there for the most important day in her life, but God had different plans for us. Thankfully, we are able to celebrate at their Minnesota reception in April. After I rid the weight of telling my sister I was pregnant, I was able to accept the fact that I was going to be a mother again, and I allowed myself to feel more excited. I am a little over halfway through my pregnancy and it already feels like I have been pregnant forever. Both Seth and I are really nervous to become parents again and to have another child. We do not know how we will handle life with two young kids, but we will take it day by day and figure it out. Doesn’t everyone?! 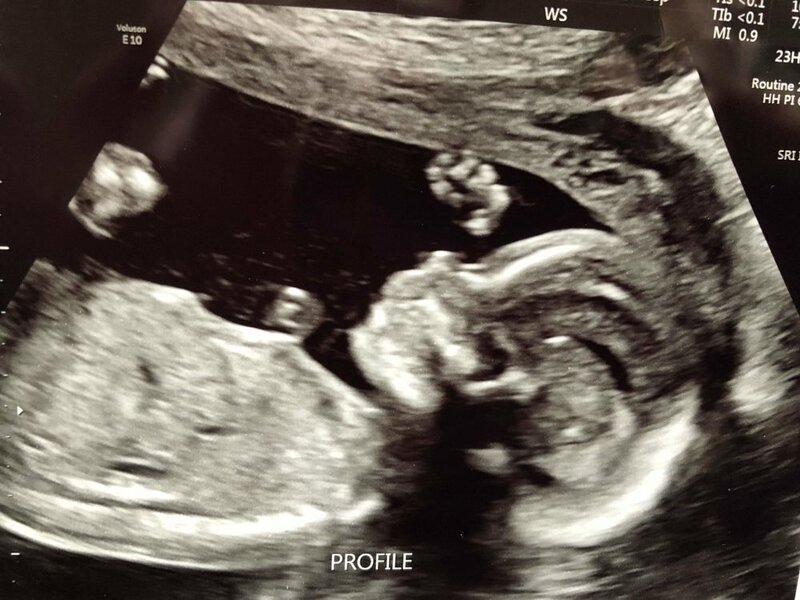 Recently, we just found out we are having a girl. I thought we would only have boys, since Seth’s family has a strong history with bearing sons, but we get our girl and we are so incredibly happy. It will be so different than having a boy and we are a little nervous for that. This pregnancy, I am much more moody and emotional. I am more sensitive and needy too. It is so different than my pregnancy with Silas, in which I was happy and easy going most of the time. For this pregnancy, I also did not crave any food during my first trimester. Nothing sounded good to me. I had more aversions than cravings. I am scared for what is to come and I have more insecurities with this pregnancy. Will I be able to handle life with two little kids? How will I ever love another like I love my son? Will Silas still feel loved when I won’t be able to give him the same amount of attention? I think these are completely normal feelings for any mom who is expecting her second child. I have faith that it will all work out and one day, I will look back and wonder how we ever survived without our Baby Girl. Life is about to get even more chaotic (and beautiful) at the Johnson house. I can’t wait to kiss these adorable little feet!